The California Highway Patrol, in conjunction with the San Luis Obispo County Sheriff’s Office, conducted a DUI and driver’s license checkpoint Saturday night in Santa Margarita. Authorities stopped drivers as they were leaving a concert at the Pozo Saloon. 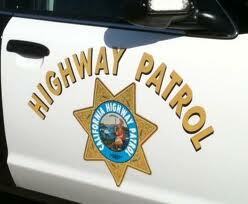 CHP officers and sheriff’s deputies operated the checkpoint at Highway 58 and Maria Avenue from 8 p.m. until 12 a.m. The checkpoint netted four DUI arrests, as well as four citations, according to a CHP press release. Three of the citations were related to invalid driver’s licenses, and the other was issued to a passenger who had an open container of alcohol inside a vehicle. A total of 790 vehicles passed through the checkpoint. Of those vehicles, 248 drivers were screened. The checkpoint caused traffic to back up for about a mile in Santa Margarita. The Pozo Saloon held its third annual picnic concert on Saturday. The event was scheduled to end at 9 p.m.
Over the last year and a half, two people have died in crashes on Highway 58 that were allegedly caused by drivers leaving Pozo Saloon concerts. On April 25, 2015, Donna Dean Magee, 56, of Templeton lost control of her Toyota Tacoma following the Pozo Stampede concert. Magee died after driving off the road and landing 25 feet below in a dry creek bed. On April 30, 2016, Jessica Lea Allred, 23, of San Luis Obispo allegedly caused a fatal collision while driving intoxicated, also on the way back from the Pozo Stampede. Allred allegedly crossed a double yellow line and crashed head-on into Denise Lyn Fox, 56, of Santa Margarita. Fox was pronounced dead at the scene. CHP officials have since recommended that prosecutors charge Allred with vehicular manslaughter while intoxicated, DUI causing injury to another person and causing great bodily injury to another person. Personally I do not know why Calif. Just says You can not even drink ONE & Drive .. All the Money , this pumps into the system is just what this about , wait till the put Pot in the Mix this fall.. The way this is handled is beyond upholding the laws.. Why did they just not tell these people DUI Check Point .. The Police Bird Dog place where Booze is Sold … End of Story.. Calif has become a Place I do not live because of this type of actions… The State Money Grabbing Cont. Just Don’t Drink & Drive AT ALL! Exactly how stupid do you have to be to drive through a checkpoint with an open container? What if an emergency vehicle had to travel through that area of hwy 58 and Santa Margarita while 790 cars were backed up? Malicious irresponsibility on the part of law enforcement, and also probably illegal. If an emergency vehicle had to travel through that area where the cars were backed up, I’m sure they’d do the same thing they always do when going through a traffic jam: turn on their lights and sirens to make vehicles pull off the road in front of them, and drive on the opposite side or the shoulder around the idiots that don’t. This is the same thing they have to do when they respond to a traffic accident, which also usually causes a huge backup. Also, it wasn’t 790 cars backed up in a row. 790 cars total went either direction through the checkpoint during the 4 hours it operated, Yes, apparently traffic did back up for a mile at one point, but based on the average length of a car, that is about 170 cars, not 790. We place a group of armed, uniformed and uneducated men at every single road intersection. All vehicles will be stopped while these men check papers, search the car and sniff the driver’s breath. Perhaps then we might finally be safe.